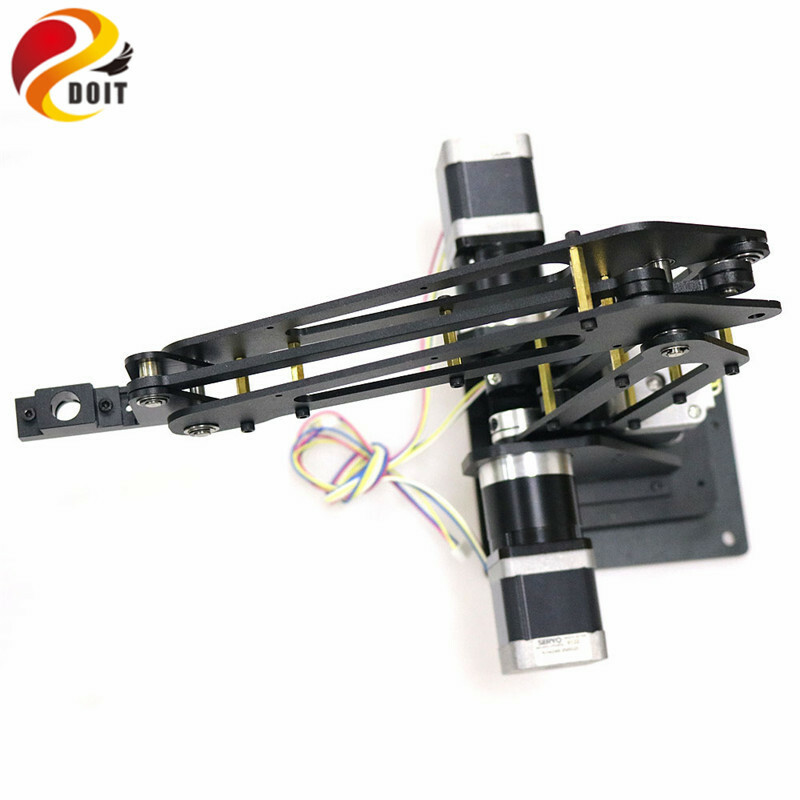 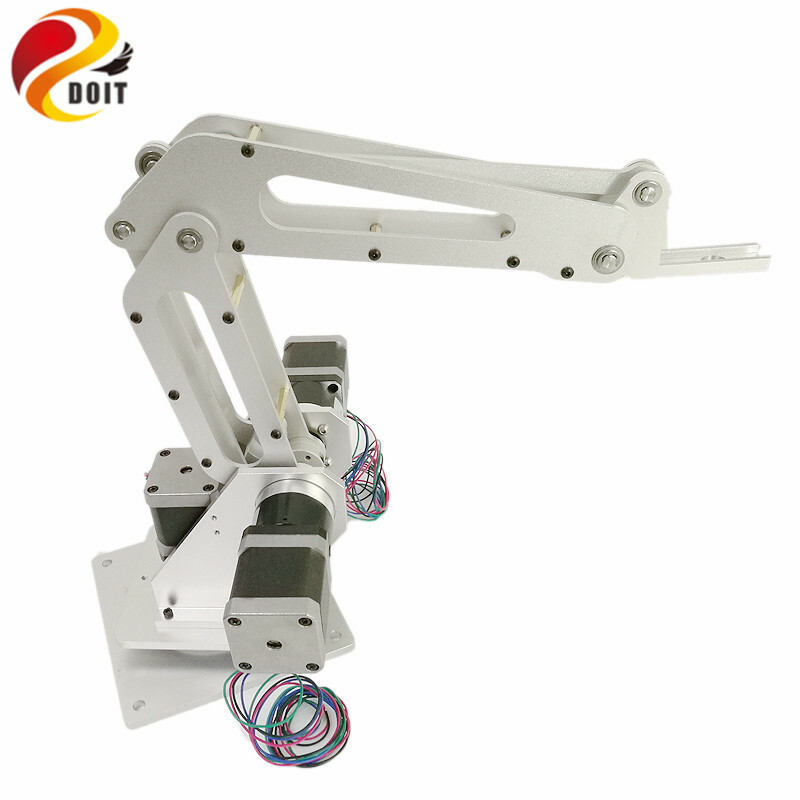 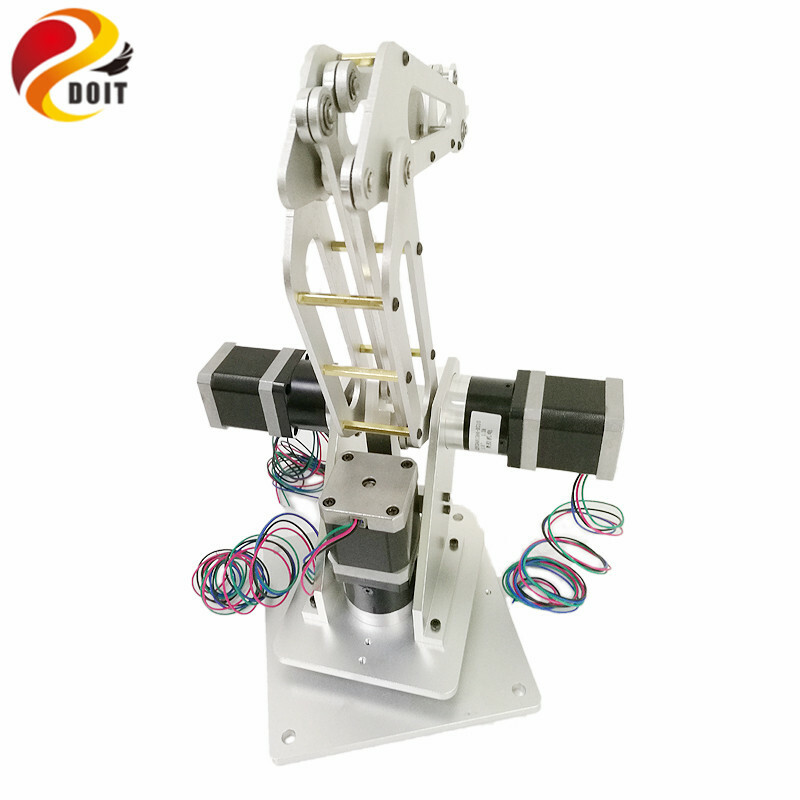 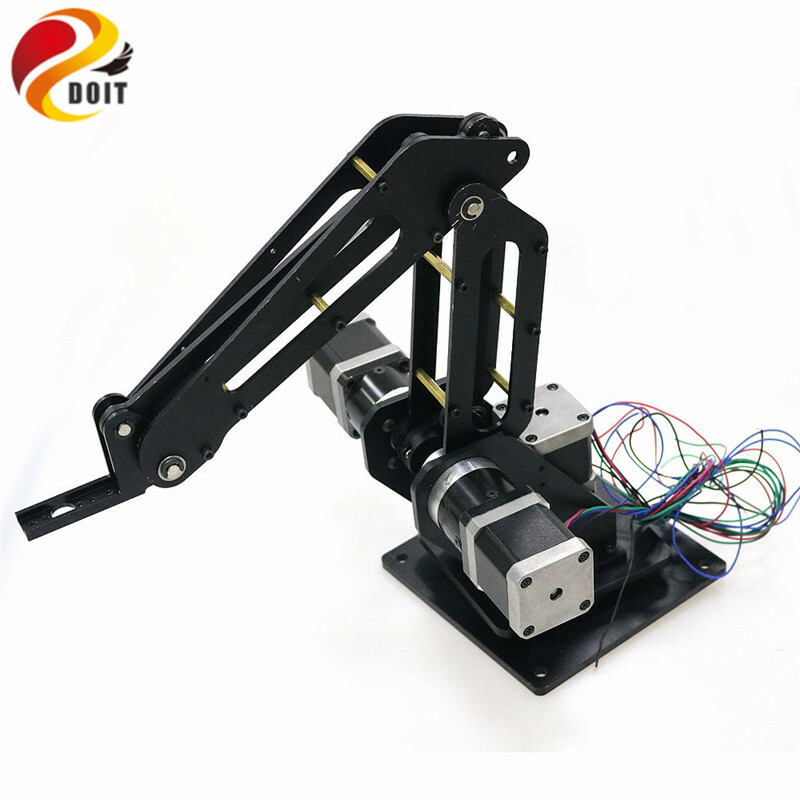 This arm is from DOIT company, which is make by CNC with aluminum and high precision. 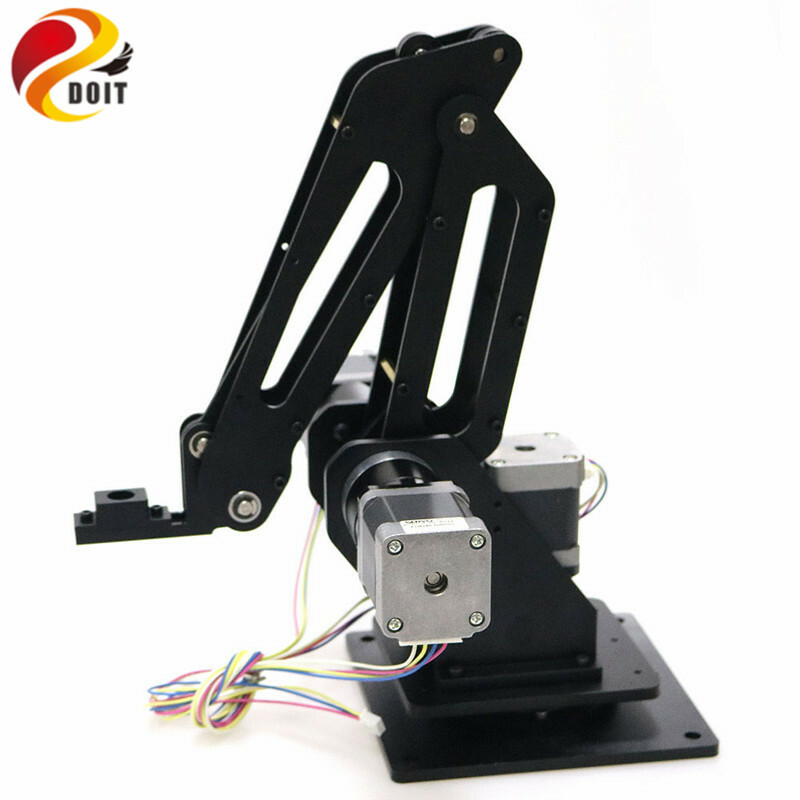 Now we have developed many examples, such as, engraving, writing, 3D printer, and seizing, recognizing. 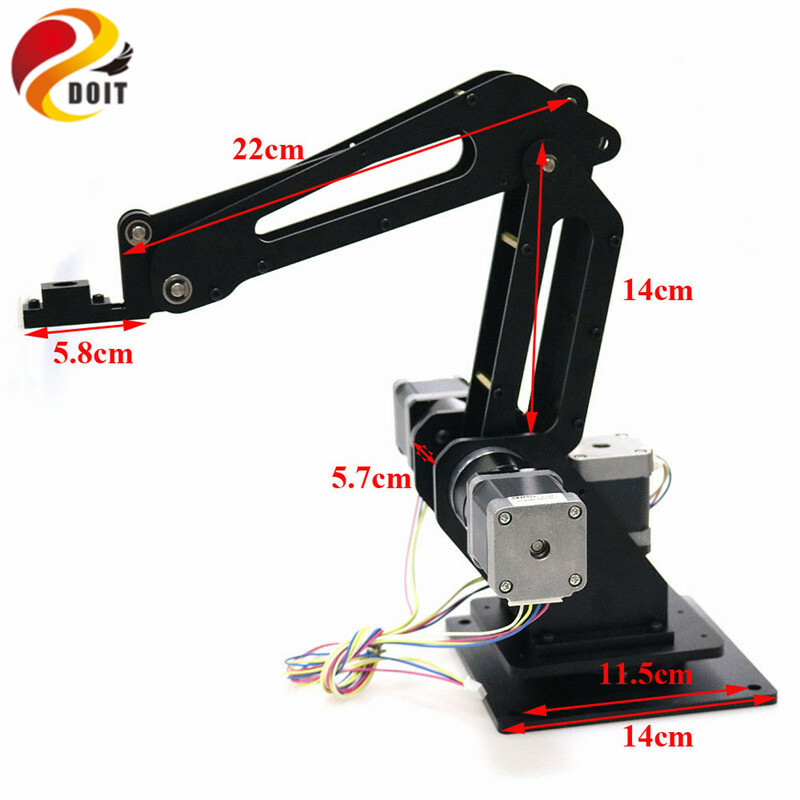 Moreover, This arm is already used many small factory to replace people for the repeat operations. 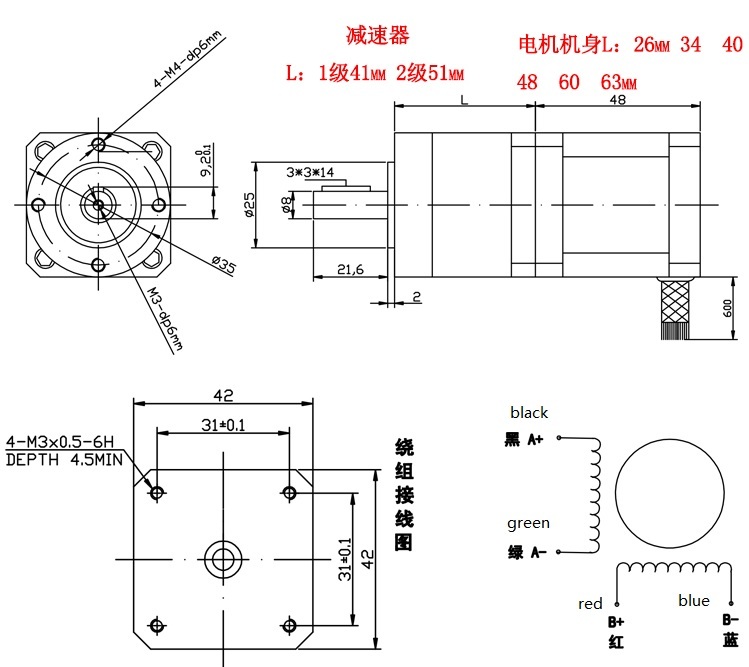 Base rotating motor installation is no longer affected by the length of the motor, you can install a motor of any length size. 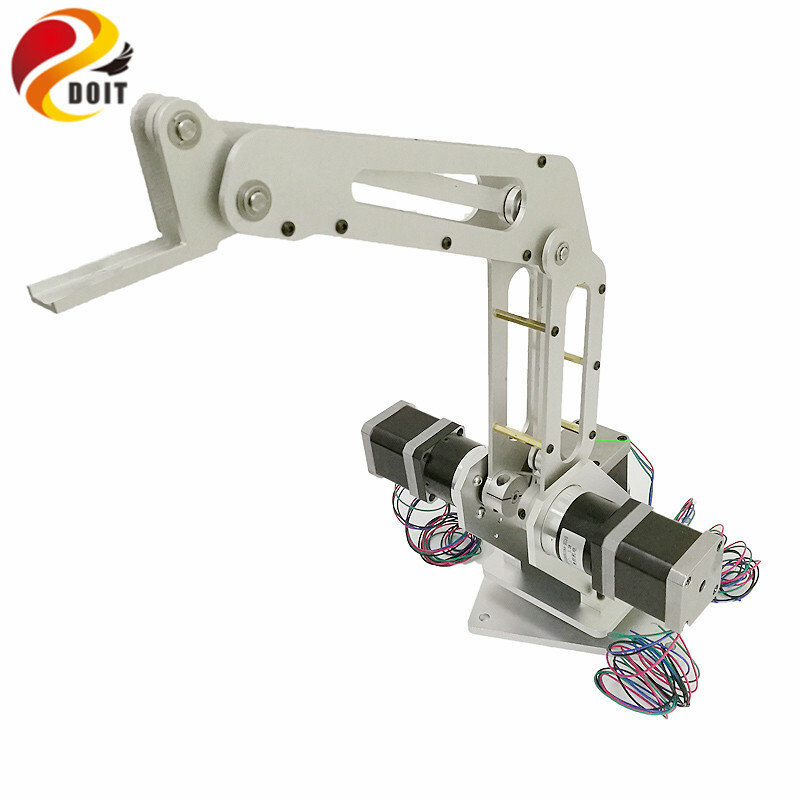 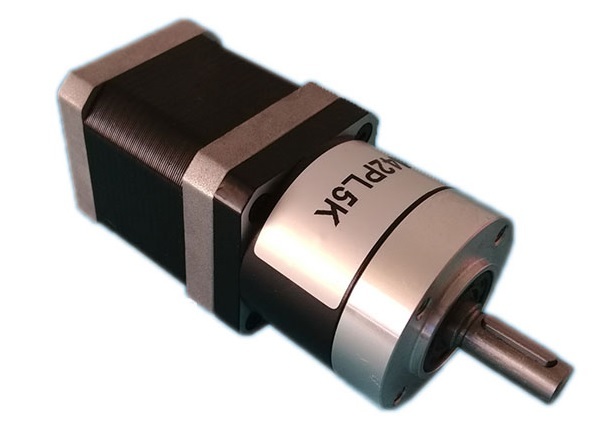 Manipulators can be mounted directly to higher-precision inductive proximity switches and angle sensors. 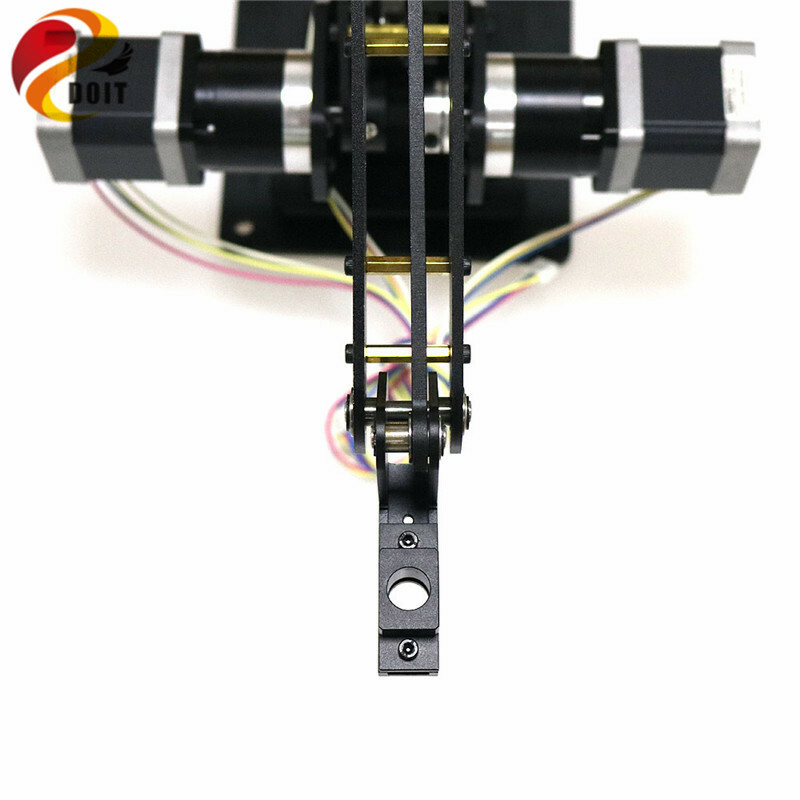 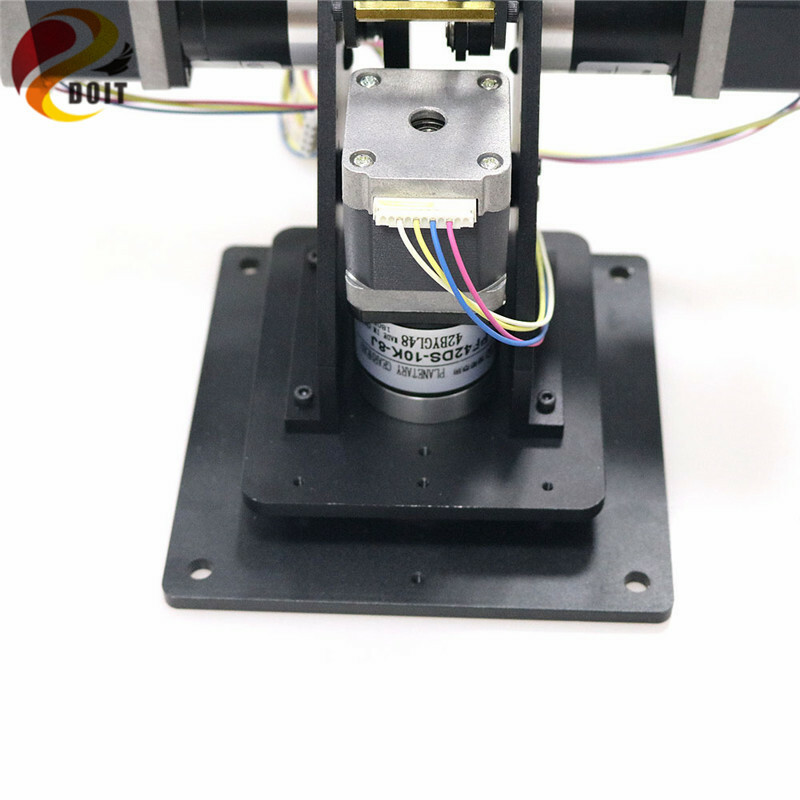 End supporting the installation of 3D print head, suction cup, gas chuck, servo, pen holder and so on. 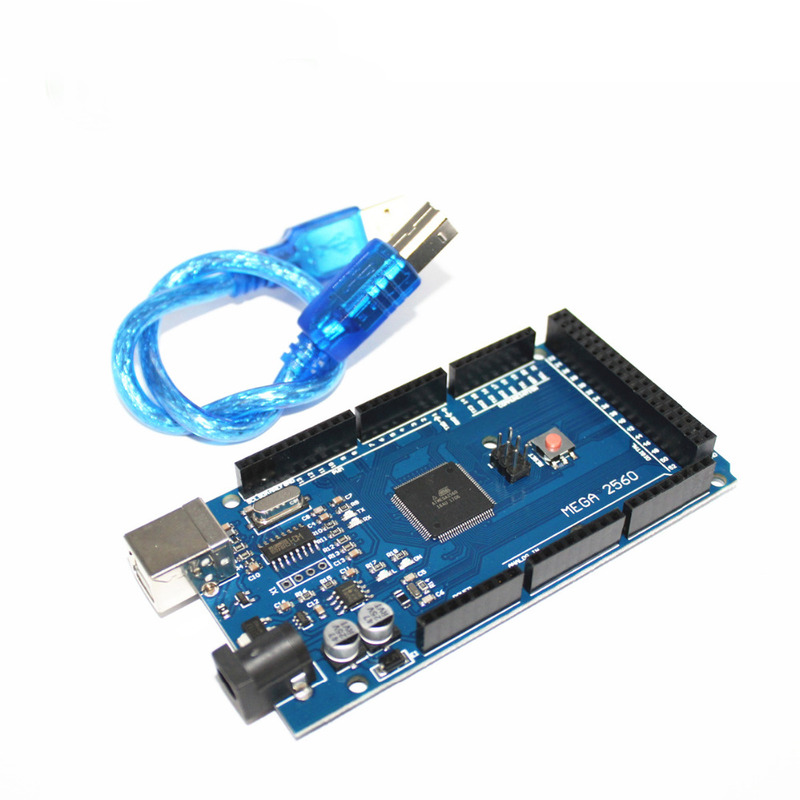 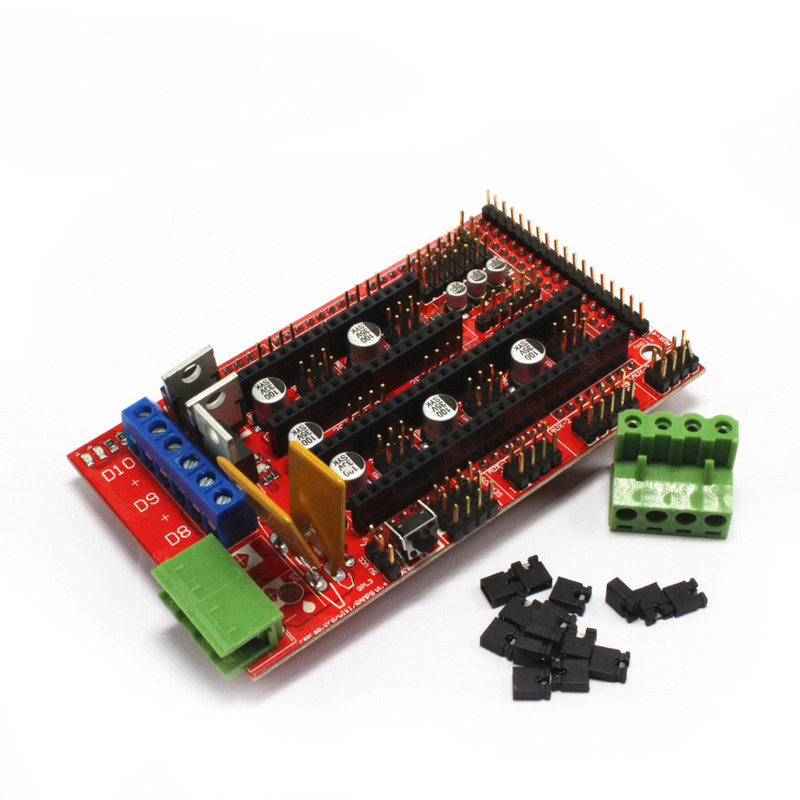 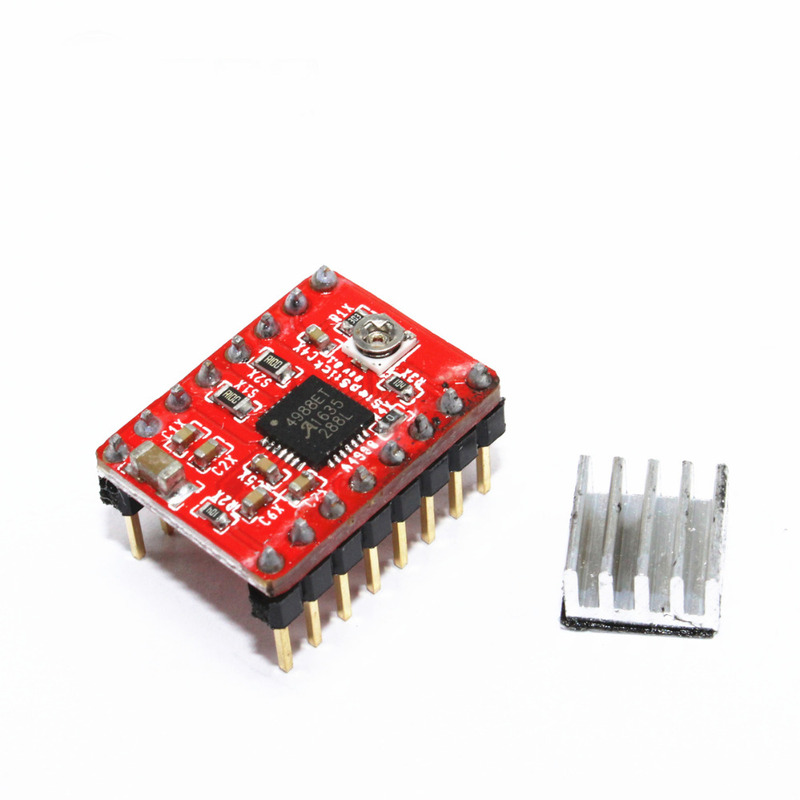 Control system has supporting PC software, control is simple and convenient.